Selling any product or service, at present, is a difficult mission. As soon as we look around, we can get an idea of ​​the situation, as promotions and discounts are increasingly numerous and forceful. Given the difficulty of the situation, many businesses engaged in the sale of products or services, fall into the temptation to enter a spiral of discounts, which is difficult to exit and that dramatically reduces the commercial margin, jeopardizing the viability of the deal. As if this were not enough, a strategy based on discounts does not work for a long time because a customer attracted by price will be lost, too, by price. In addition, many businesses are left without resources for rebates and get almost any discount seems small by repeated this technique. Even assuming all these risks, many businesses check how the discount strategy does not work. This is because the price, although it is one of the important factors to get a sale, is not the only determining factor to get a sale. In fact, for certain products or services, it is not even the most important factor. In addition to the price, there are a number of differentiating elements surrounding the sale of the product or service, which are what will make buying in one business more attractive to the client than doing it in another, with the perception that it has obtained more value for your money. The set of differentiating elements that a product offers, or the business that sells it, is what is usually called ‘added value’. In the cases of sale of branded products, the product will be exactly the same in all the sites. So, what factors can make the customer buy a product or service in a certain business, beyond the price? Customer Experience. Also known as Purchase Experience or Customer Experience, it is one of the most powerful ways to add value to the purchase of a product and is achieved when the purchase of a product or service is transformed into a memorable sensory experience. The rest of brands and products . The combination of brands and products offered by the business, will make the customer can consider your visit more interesting, having greater choice or being able to make several purchases at the same time. Also, this combination of brands and products will make the positioning of the business in the mind of the customer better. Location. That a business is close to a train station, the client’s work, your child’s school or a place where parking is easy and cheap, will be a guarantee of an influx of customers. Few promotions can compensate for a long trip, a high parking ticket or mid-morning lost in a traffic jam. Accessibility . A large room, with minimal architectural barriers, which allows for a minimum intimate space, are increasingly appreciated factors, especially by customers who must carry a child’s cart or a wheelchair. Customer Support. There is no use for a product at a very good price if, both by excess and by default, it does not fulfill the function that the client expects from it. Therefore, professionalism in the sales process is a factor of great value: adequate and adapted information, customer-oriented advice, rapid collection process, reasonable waiting times, just to mention a few examples. Hygienic factors . Cleanliness, order, pleasant smell, adequate temperature, reasonable use of the musical ambience or enough light should be mandatory elements in any business but, unfortunately, there are still many that fail to comply. After sales service. Have peace of mind knowing that, if the product needs it, the establishment will take care of managing the repair and supplying spare parts or consumables is a very valued aspect for the client. Guarantees . The guarantee of satisfaction or an extension of the warranty period may be more valuable to the customer than a small percentage of savings in the price. Payment facilities . From admitting the card payment, not yet accepted in some businesses, to offering financing, any type of payment facility will multiply the possibilities of sale, by solving specific problems of liquidity of the client. Additional services. Nursery, cafeteria, transport, assembly, gift packaging, demonstrations … there are many other services that can make a difference. 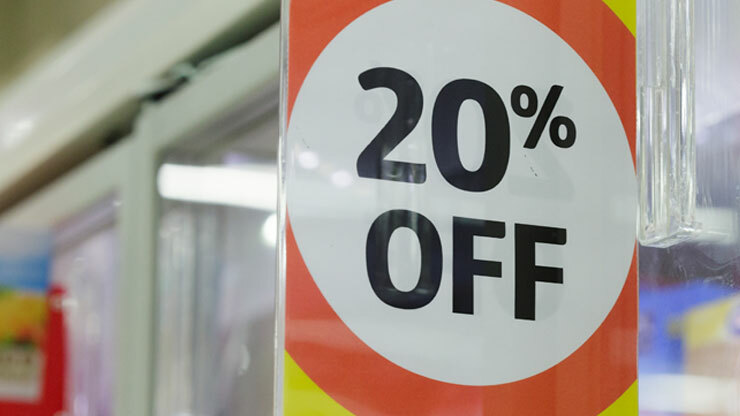 In many cases, the combination of several of these factors achieves more sales than a strategy based exclusively on discounts or the search for the lowest price and, what is more important, it achieves a higher rate of customer loyalty. Previous story Here are ten tips for making self-assessment as simple as possible.